Students and Parents! Curious about what Harvard’s CompSci program looks like? Want to learn about if working at Facebook is as cool as it sounds? 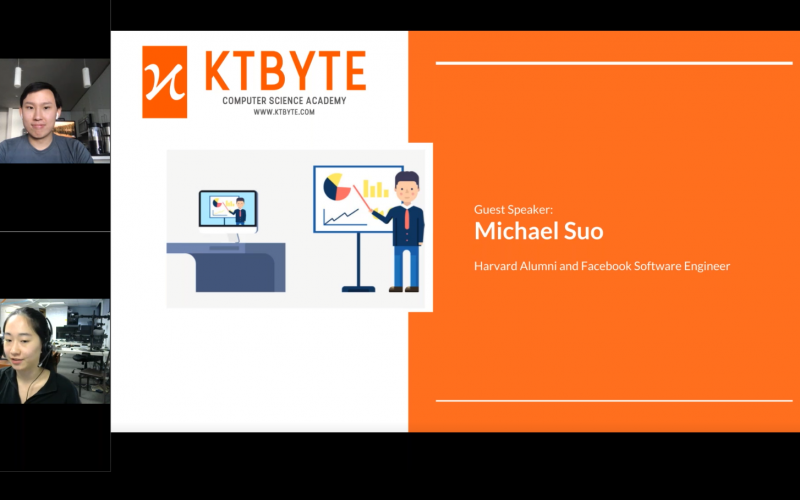 Join us for this webinar with Michael Suo, a software engineer at Facebook. Michael will be discussing his experience with computer science before, during, and after his time at Harvard University, what his experience in industry has been like, and what are some of his day to day tasks at Facebook. Learn about how Michael’s passion for computers propelled him to where he is today, and hear his tips and tricks for younger students to become better learners! The latter part of this webinar is a Q&A where parents and students ask Michael questions about topics regarding video gaming, extracurricular activities, and overall life values.